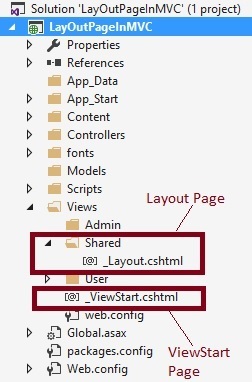 While Adding View Page, Assign Layout Page . I hope you have understand about the Layout page from preceding brief summary. Now let's implement it practically. 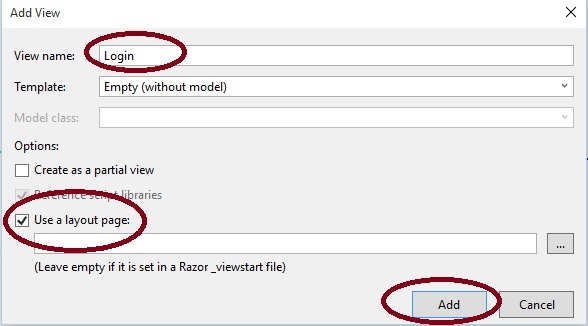 "File", then "New" and click "Project" then select "ASP.NET Web Application Template", then provide the Project a name as you wish and click on OK. 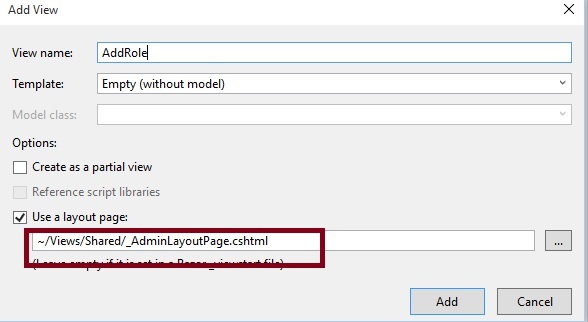 Step 2: Add user and admin controller controller. 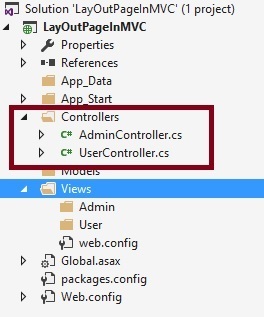 Right click on Controller folder in the created MVC application and add the controller class as. 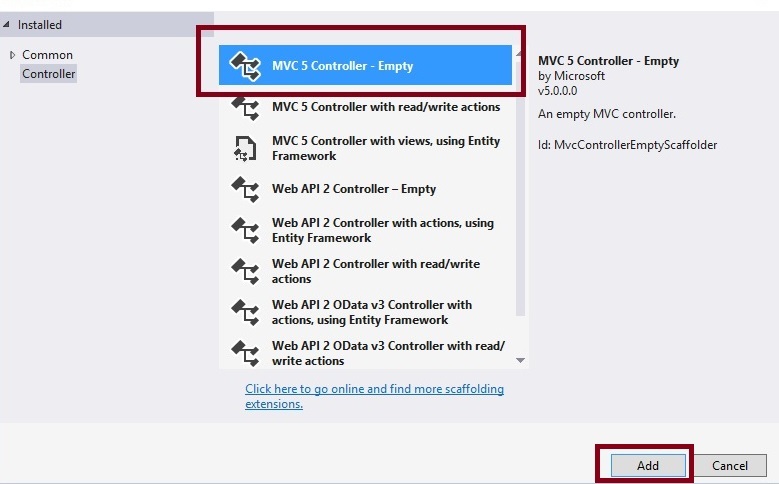 The preceding two controller classes are added into the project which are User and Admin and create the following action methods in respective controller class. For preceding two controllers we will use two different layout pages. We can decide which layout page to be used while adding the view. 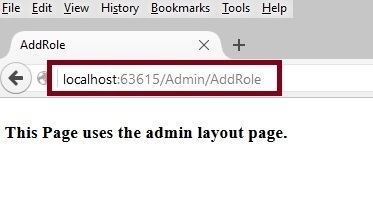 IIt is same as deciding master page while adding ASP.NET web page. 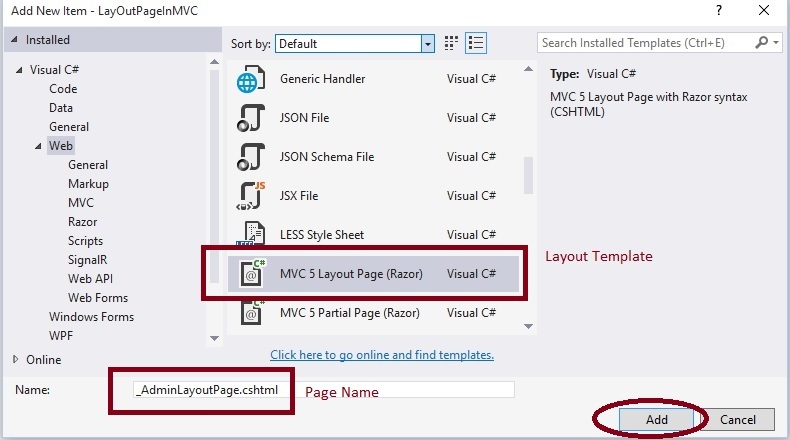 Let us follow the following steps to add layout page with view. 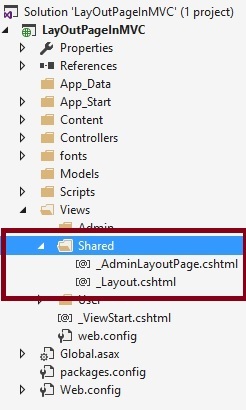 In the preceding image, two layout pages are added under shared folder which are AdminLayoutPage and Layout. 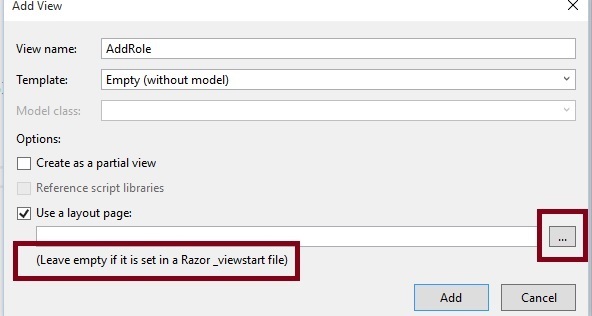 So whenever you will add through wizard or manually the layout page reference need to be set in every view page where the layout page is needed. Adding reference of layout page in every page is very difficult and repetitive of code. Let us consider I have one controller which as twenty plus action method then each twenty views we need to add reference of layout page. 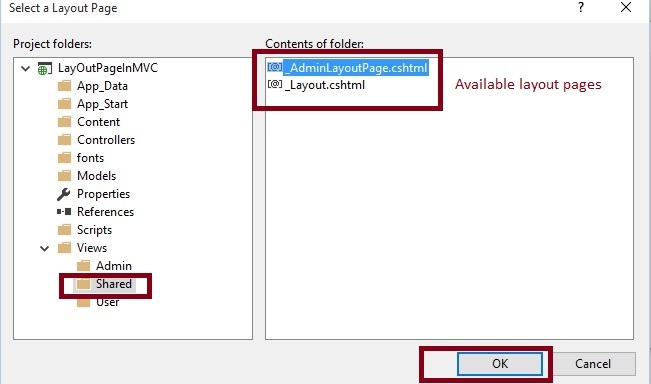 Assume another requirement we need to set layout page according to condition basic or controller basic then we need to use viewstart page . 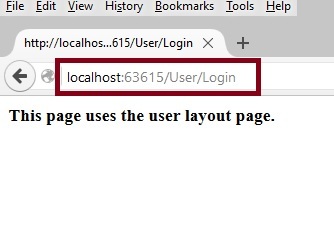 I hope from all the preceding examples, you have learned about layout pages in ASP.NET MVC. Apply proper validation before using it in your project.